Iowa Upgrades - Slot 3. 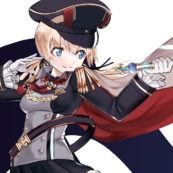 So - I just purchased Iowa - and I have a couple of questions regarding the upgrade path. Firstly - it doesn't appear as though the C hull gives much in the way of upgrade? A tiny bit more AA - but that appears to be all? Or am I missing something? Secondly - I'm wondering which might work best on Iowa in slot three - Main Battery Mod 3 (-12% loading, -13% traverse) - or Artillery Plotting Room Mod 2 (-11% dispersion)? On the surface - it seems MB M3 would be the likely choice - but as they say in hockey, sometimes its all about the intangibles! Anyway - thank you for your thoughts, gentlemen. The final hull gives you a significant rudder shift speed buff. As for the upgrade: Artillery Plotting Room Mod 3. It makes you the most accurate BB at tier. Take the 3-million Accuracy Mod. It turns your ship's guns from naval rifles into orbital strike cannons, and is one of the biggest selling points to the Montana and Iowa. Thank you, Gentlemen - i went with APM2. 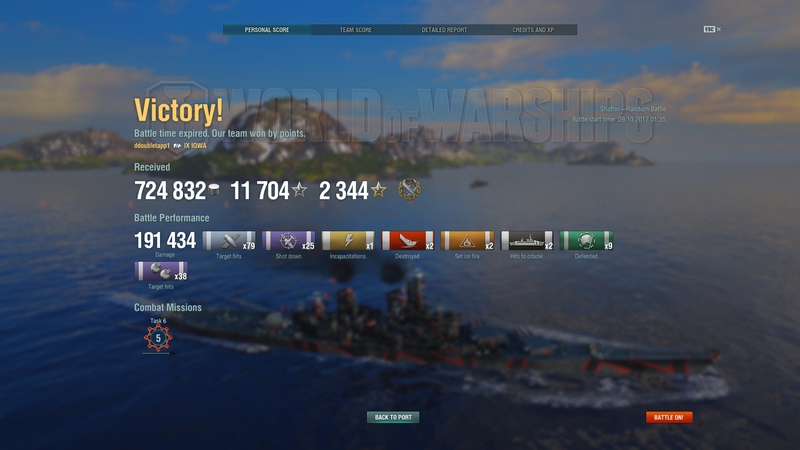 I've only played her in one match - went A on Atlantic, and smacked a broadside Alabama who was feeling pretty safe in C cap for a two salvo HP reduction of ~20,000 damage - ha ha! It does appear to have been the right choice. I also tried to play her like I did the NC, masking in and out of islands - and managed to run her aground three times in as many minutes! Its going to take me a few matches to get used to that down-grade in maneuverability, methinks! Yeah, Iowa steers like a drunk pregnant whale. Doesn't get any better at T10 unfortunately as Montana is even worse. It steers like a drunk pregnant whale swimming in cold molasses. LOL. I use basically the same, only Main Arm Mod 1 in the first slot is swapped with Aux Arm 1 and I run Preventative Maintenance on the Captain. PM takes over for MAM1 and Aux Arm buffs AA survivability which is nice to troll CV's late in the few matches you'll get with them. Thank you all again for the very good advice. That added accuracy makes the Iowa a real blast - what a difference to the KM BBs I ground out a few months ago!. I have been enjoying the ship immensely - and am now saving FXP to put the Missouri into my port (usually I spend that FXP as quickly as I make it, as I usually prefer to fully upgrade a ship before taking her to sea). Me too. LOL. Nothing worse than stock ships. I pretty much never play them stock anymore. I will wait for enough Free XP if needed to fully upgrade them. Last ship I actually played stock and ground out the upgrades was Fiji. Right when I got to Fiji is right around the time I got hooked on BB's and became a BB main so my Free XP went into upgrading the new BB's I got and poor Fiji stayed stock. 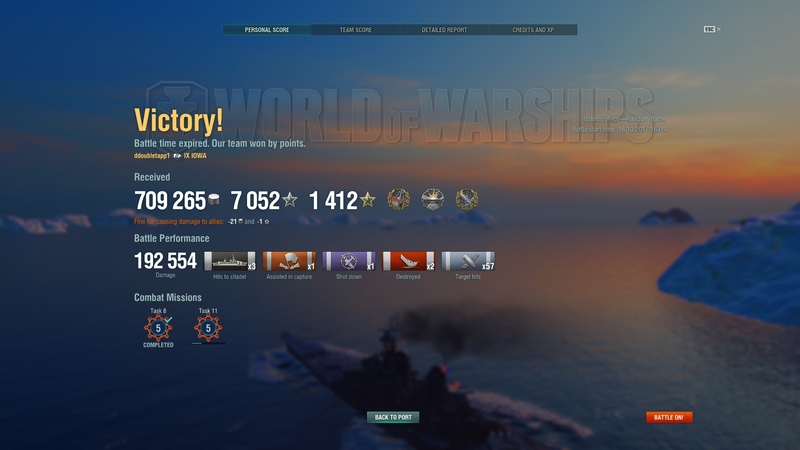 Don't play a lot of CL anymore so it took a LONG time to grind the XP to upgrade Fiji. I think I did use a little Free XP at the end but mostly I ground it all out. Fiji is really good stock but is insanely good upgraded. Playing it finally fully upgraded was just another reminder of why I don't play stock ships. If you think 9 of those very nice 16"/50 guns with APRM2 upgrade installed are great, wait until you get 12 of them at Tier X.